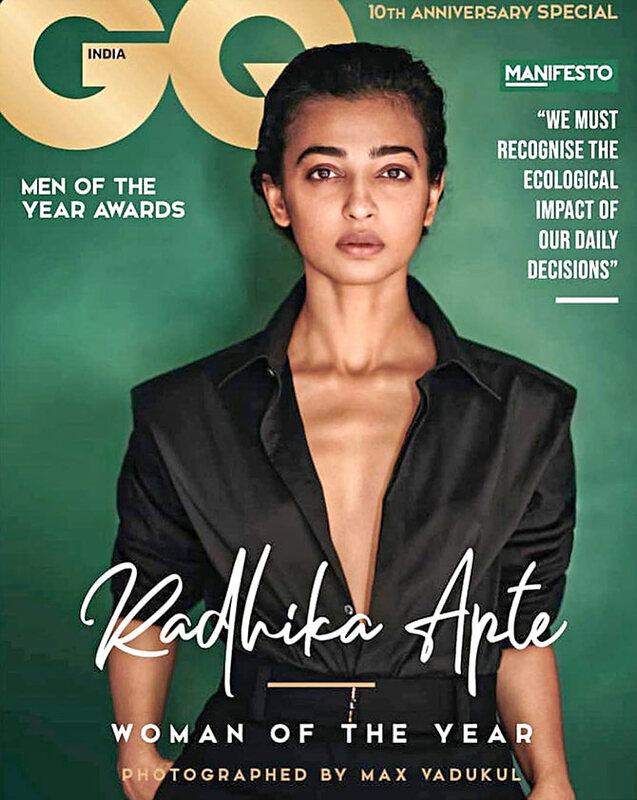 Radhika Apte, who turned 33 last month, looks fierce on the cover of GQ's 10th anniversary special. Unveiling their latest cover on Instagram, GQ wrote: 'Our Woman of the Year @radhikaofficial has fearlessly changed the rules, disrupting the status quo and redefining the role of a leading lady. 'No matter the screen time or the scale of the project, she lends power and potency to her characters. 'With this cover we celebrate her talent and sheer audacity,' they added. Dressed in a black pant-suit, with her hair slicked back, the actor cut an impressive figure on the cover. As for her second look, below, she sported a white shirt with black trousers. Last edited by DesiCasanova; 15-10-2018 at 08:59 AM.